Alongside A Canterbury Tale, Powell's most eloquent tribute to the mysteries of the British landscape. Hiller is the headstrong young girl who travels to Scotland to marry a wealthy but elderly man, only to be confused and distracted by the presence of dashing young laird Livesey. Full of well-integrated symbols (islands, hawks, a whirlpool) and lyrically shot in monochrome by Erwin Hillier, it's all quite beautiful, combining romance, comedy, suspense and a sense of the supernatural to winning effect. 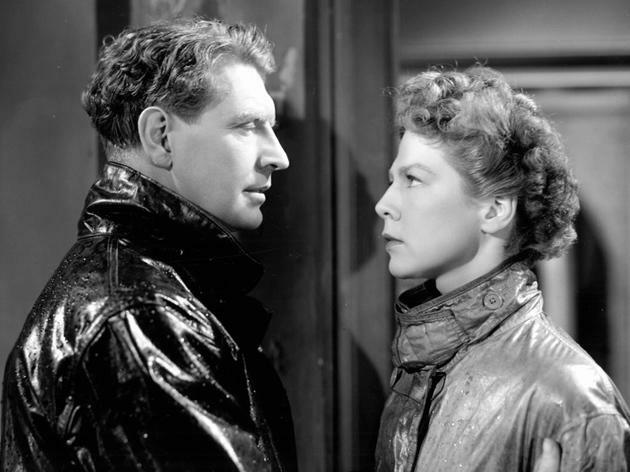 Utterly charming and surprisingly modern film that doesn't ever age about Wendy Hiller's Joan, a young woman who knows where she is going and is determined that it involves marrying a rich man, if only she can reach him at his rented estate on an isolated Scottish island. 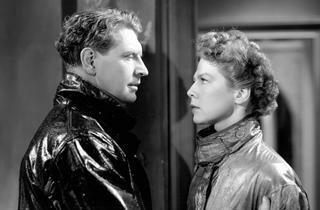 But the foul weather and the incredibly attractive Roger Livesey as Torquil, a local naval officer on leave, happily get in her way. The plot is traditional--the high-powered city woman who thinks that she can push around simple country folk, here residing in the Hebrides, and bend everyone to her will--but the sizzling chemistry between Hiller and Livesey, and the rather exotic presence of Pamela Brown as another local make for an exciting and magnetic film. The special effects of the swirling storm may seem silly now but the cinematography and the gorgeous Scottish landscapes more than make up for any shortcomings. Any film done by Michael Powell and Emeric Pressburger deserves attention, and this is one of their best. Absolutely wonderful! I watched this on tv today for the second time but i`ve not seen it in maybe 15 years,time to buy the dvd i think.90 minutes of pure pleasure. The greatest unknown British film.